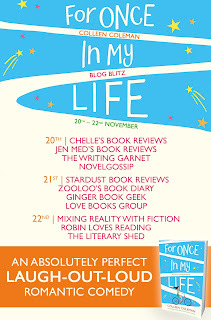 Today is my day for the Blog Blitz for the book For Once in My Life by Colleen Coleman. This bucket list could change your life! An uplifting, feel-good story about friendship, romance, and finding the hero inside yourself. 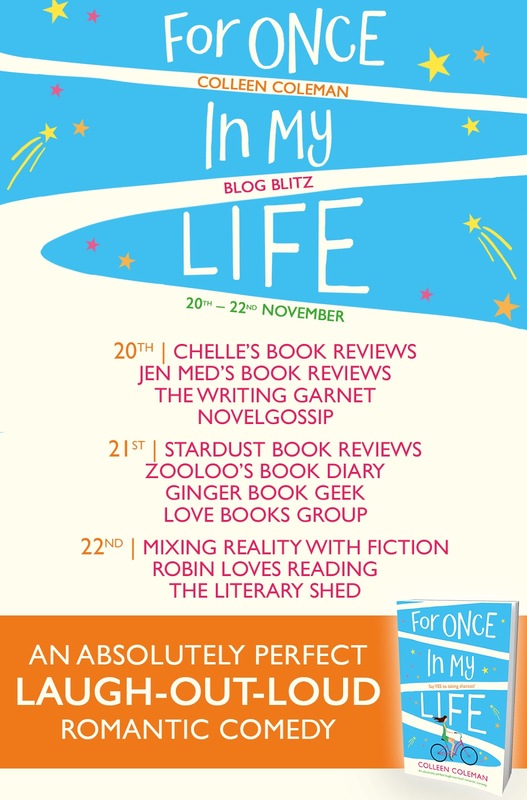 Fans of Marian Keyes, Mhairi Macfarlane and Sophie Kinsella will love Colleen Coleman! Lily Buckley has spent the last three years getting over a tragic and humiliating experience. She was left at the altar and has rebuilt her life. She has been at her job at the Newbridge Gazette for seven years. Things gets shaky for Lily yet again. The newspaper is floundering. As a matter fact, it may just close down. But another chance presents itself. Lily suddenly becomes acting editor in chief of the regional newspaper. Things are certainly not cut and dried from this point on. Not at all. The powers that be have hired a team of people that includes Christopher, and he is a transformational consultant. The newspaper has a single shot of sinking or swimming. Ultimately it must be determined whether or not Lily and Christopher can work together to save the newspaper. For Lily’s sake it is to keep her job and career going in the direction that she has been focused on. For Christopher, this is a steppingstone to his future aspirations. Quite naturally, the entire scope of Lily’s job has changed. Christopher and the team decide on a unique approach to reviving the newspaper. Lily’s weekly column will now become a four page spread with a bucket list in which tasks are completed weekly. They are extremely hopeful that this will increase readership. Lily may be focused on the importance of saving her career, but her eyes are now open to new possibilities, and this was truly a delight. Lily experiences quite a lot while working on her bucket list. This required her to do things that she would never have tried before. While there is humor in the story, even at laugh out loud places, the story is rich with sensitivity and growth. We see the characters develop in certain ways and that makes the story very captivating. As readers are drawn into the romance that blossoms between Lily and Christopher, it is also a very touching to see how Lily’s relationship with her mother changes. I was very interested in things as they were working out. If I may interject, I must say I was impressed by the fact that one of Lily’s favorite activities was to curl up with a good book.. I rather enjoyed how this book is marketed. It is first a woman’s fiction, then a romance. I think this is important to mention because we get to see Lily grow as a character. Yes, lovers of romance want a happy ending. 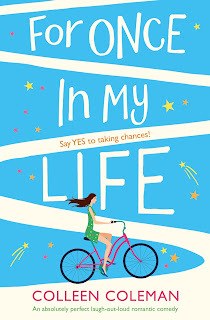 But Lily’s life was once turned upside down and getting the opportunity to see her achieve personal growth was very rewarding to me as a reader. The cherry on top was the romance that was indeed part of the story. This is the first book that I’ve had the opportunity to read by Colleen Coleman and I can definitely say that she is an author that I will follow in the future. Many thanks to Bookouture and to NetGalley for this ARC to review in exchange for an honest opinion. She spent years teaching English and Philosophy before finally taking a deep breath, scrunching both eyes shut, putting her pen to paper and vowing not to lift it again until she wrote the words 'the end'. 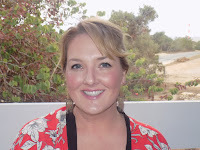 As a result, her first novel, Don't Stop Me Now was born. This book sounds like one I would enjoy. Adding to my TBR. Very cool. I don't know if I would personally read this, however, I do know someone that would. This looks like it'd be a great in-between-book. This looks so good. Great review.